Full magazine at ten yards (185gr copper HP). 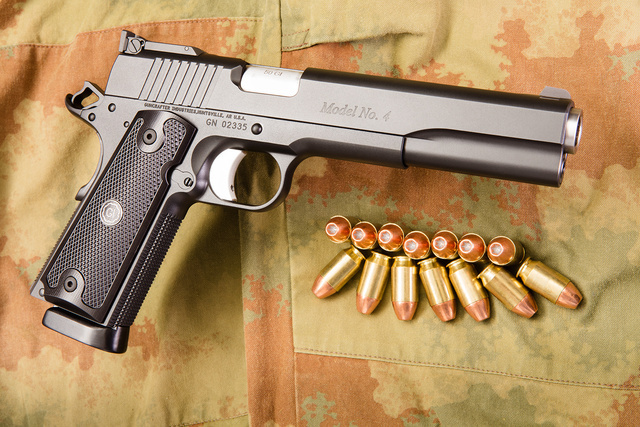 Earlier today, I ventured out to put a few rounds through a Guncrafter Industries Model No.4 — a .50GI longslide. The full review is slated for publication in American Shooting Journal. In sum: it’s pretty nice luxury to have. Combined with the mild Spring weather — pure enjoyment. 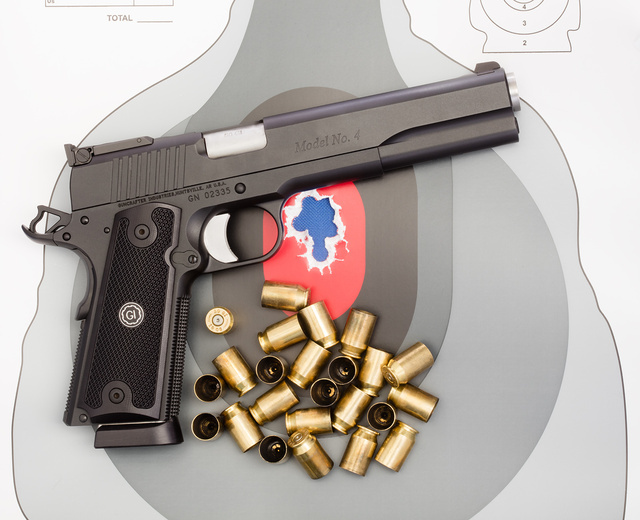 This entry was posted in pistol, training, weapon and tagged 50GI, longslide, M1911. Bookmark the permalink. $4125.00, and $2.50 a round is an extreme luxury.